How do we know that breakdowns of crematory ovens did not significantly impair the cremation of nearly 900,000 Jews? The crematory ovens in Auschwitz-Birkenau broke down so often that the number of bodies that could be cremated was significantly reduced. The crematory ovens in Auschwitz-Birkenau were in constant operation, which did cause breakdowns that required repairs. These repairs were easily fixed and did not impair the mass murder. Likewise, when the number of bodies overwhelmed the capacity of the ovens, open-air burning pits were used. On June 28, 1943, Karl Bischoff, head of the Central Building Administration in Auschwitz-Birkenau, sent a letter to Hans Kammler, an important Nazi German engineer. The letter states that the ovens at Auschwitz-Birkenau should ideally operate on a continuous basis. In reality, breakdowns did occur. Overuse and misuse caused the bricks in the muffles and the chimneys to crack or break. These damages required maintenance or mending. However, most repairs could be made quickly. Filip Müller, a member of the Sonderkommandos who stoked the ovens, recalled that they would use a special fireclay paste to patch the cracks. Thus, when the number of bodies overwhelmed ovens capabilities—such as in mid-1944, when 8,000 to 10,000 Hungarian Jews were murdered per day, the Nazis turned to open-air burning pits for mass cremations, even thousands of bodies at a time. 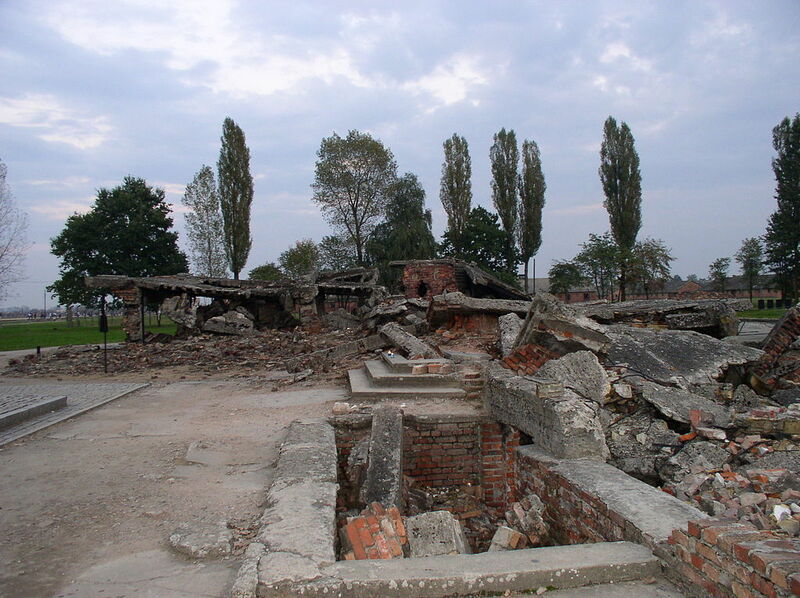 The crematory ovens in Auschwitz-Birkenau did require repair and maintenance, although not to the extent that Mattogno claims. Furthermore, there were other methods for disposing of the bodies, such as open-air burning pits. These pits could cremate thousands of bodies at once. Eyewitness testimony confirms the continuous assembly line of murder at Auschwitz-Birkenau. Carlo Mattogno, Auschwitz: The End of a Legend: A Critique of J.C. Pressac (Institute for Historical Review, 1994), p. 30. Filip Müller, Eyewitness Auschwitz: Three Years in the Gas Chambers (Ivan R. Dee, 1979), p. 124 and John C. Zimmerman, “Body Disposal at Auschwitz: The End of Holocaust Denial” (“Cremation Capacity”) at http://www.phdn.org/archives/holocaust-history.org/auschwitz/body-disposal/. KL Auschwitz Seen by the SS (Auschwitz-Birkenau State Museum, 1995), p. 137.